It’s funny how place influences whisky. I’m not talking about terroir, or region of origin, I’m talking about how sometimes the place where you enjoy a certain whisky can affect your perception of it. Whisky, wine, and food writers alike all wax poetic about this phenomenon, and it usually takes the form of a wistful soliloquy about sand between your toes or back-slapping camaraderie. I personally have a fondness for Sol beer after a trip with college buddies to Mexico found me dragging my sun-bleached, sweat-drenched, weary corpse to the nearest restaurant to bask in the glory of (several) ice-cold Sols and locally-caught marlin tostadas. Whenever I open a Sol (which is basically the Michelob to Mexico’s Bud Light, Corona), I’m back in Mexico, young and invincible, and eating those $2 tostadas again. This year, on a trip to visit the battlefield at Gettysburg (my first time), I dashed to the local state-run liquor store, arriving a few minutes before closing, to secure booze for a week that promised a lot of walking around in the sun and looking at monuments. 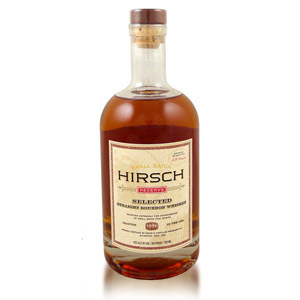 I spied a bottle of Dad’s Hat Pennsyvania Rye and figured why not choose a local whiskey? 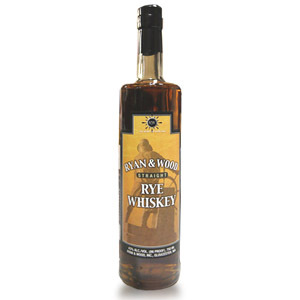 It wasn’t the best whiskey I’ve ever had, nor the best rye. But, if necessity is the mother of invention, then desperation might just be the mother of the best damn whisky sour I have ever made. Maybe it was my vacation mentality, or maybe it was squeezing lemons with the back of a kitchen knife in some AirBnb kitchen, or making simple syrup out of a half-full bear-shaped bottle of honey and tap water… whatever it was, I have never been able to replicate those Dad’s Hat Whisky Sours since I’ve returned home. Ah well, at least we’ll always have Gettysburg. 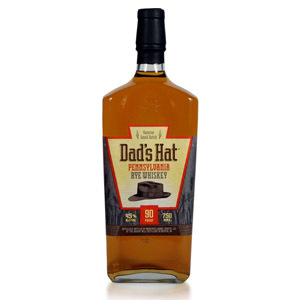 Dad’s Hat is a craft Pennsylvania rye made by Mountain Laurel Spirits, LLC, at the Grundy Mill Distillery in Bristol, PA. A locally-sourced mashbill of 80% rye, 15% malted barley, and 5% malted rye is distilled and then aged for six months in new, charred oak quarter casks. There’s some uncertainty about whether Dad’s Hat “counts” as Monongahela rye, that extinct style of rye that once dominated the US rye whiskey market. Bristol is in eastern Pennsylvania (not western PA, where the Monongahela river runs), and Dad’s Hat co-founder Herman Mihalich has stated that the brand is looking for flavor over authenticity. That said, Dad’s Hat uses a combination of malted and unmalted rye, which is one of the traditions that marked the Monongahela rye style. Dad’s Hat also now produces a Straight Rye, a Bonded Straight Rye, and port- and vermouth-finished editions, with more on the horizon. Nose: Rye! Grassy and explosive, with a healthy dollop of tropical fruit (I can’t tell… pineapple? Coconut? ), a woodsy pine/eucalyptus note which seems to be the hallmark of young rye, and a dry herbal kick of something like anise or fennel. Palate: Medium-heavy body, slightly chewy. 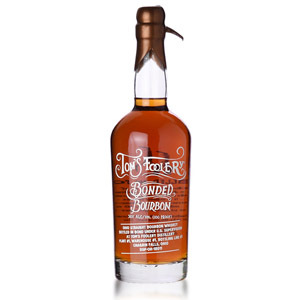 A heavy dose of spice cabinet, primarily cinnamon and clove, which come across as fresh, not dusty. Slightly bitter vegetal notes pervade the midpalate, like green peppercorn and mown grass. At first this appears original and inventive, but then quickly betrays the youth of the spirit. Finish: Medium in length. The pine notes return, as does the grass. A ghostly note of caraway comes and goes, and the whole fades with cinnamon, now stale. With Water: Several drops of water amp up the grassy notes, alas, covering up some of the fruit. The palate becomes sweeter – cinnamon rolls – and brings out menthol on the finish. Try both with and without water. 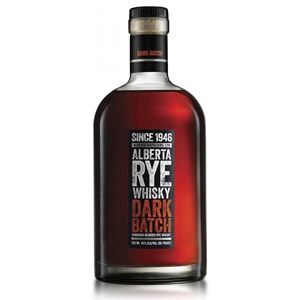 Overall: A rough-and-ready craft rye with a perfectly-chosen ABV, an eclectic but coherent array of rye aromas and flavors, and a few surprises. The grassy youth of the rye comes through like light through a tattered window curtain, sometimes marring the experience. Man would this be good with a few more years on it. 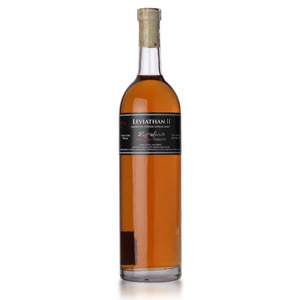 Note: This makes an unexpectedly tasty whiskey sour, where the sugar and lemon provide an excellent foil for the herbal and spicy notes, and manage to cover up most of the youthful character. If you have a bottle, give a whiskey sour a try with it. Try honey syrup instead of white sugar. Acquired: (750ml bottle) $40 at a state liquor store near Gettysburg, PA.
As a cocktail geek I just have to chime in and let you know that a Whiskey Sour made with honey syrup is sometimes called a Gold Rush. Which I have to admit is a delicious libation, cheers.